Skala is a precise user interface and icon design tool with phenomenal rendering quality and a unique blend of vector, bitmap and 3D abilities. We’ve been working extremely hard on Skala, but aren’t ready to show it to the world just yet. We’ll know we’re ready when we can use Skala full time on our own projects. Everything’s going well and each day is another step towards that goal. However, we are ready to share a few more details. Skala’s rendering engine runs almost exclusively on the GPU, using OpenGL. This gives us complete control over rendering and drastically increases performance. Readers of our design articles will know how important rendering quality is to us, and Skala will be one of the highest quality tools of its kind. The downside to this approach is that we have to build everything ourselves. We’re not relying on high level graphics frameworks offered by the operating system, which are brilliant for most things, but less than ideal when dealing with large and complex documents in a tool like Skala. As you may expect, Skala View for iOS and Android can be used in conjunction with Skala for fast, accurate device previews. Skala’s guides are stored within guide layers, allowing multiple sets that can be toggled off and on, or copied between documents. 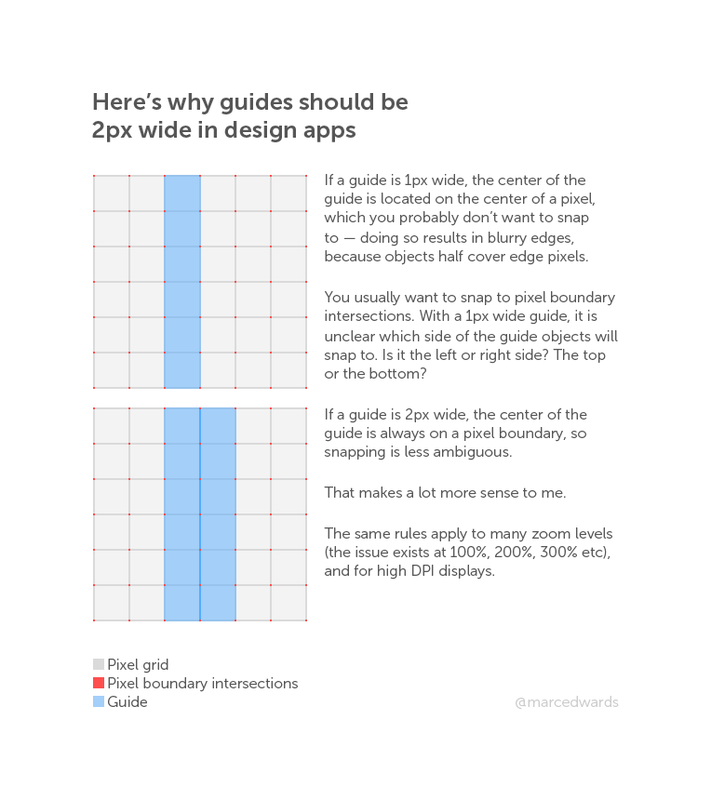 Guides are always drawn 2px wide, which we believe is the correct approach, even if Skala is one of the only apps that does it. To set reasonable expectations, we thought it might be a good idea to let you know what Skala isn’t. Skala is not an animation tool or a bitmap editor. If you wish to edit photos and bitmap images for use in Skala, another tool like Photoshop, Acorn or Pixelmator will be required. Yes! The beta will be public, so everyone can take Skala for a spin, see if they like it, and give us feedback. This project is a huge undertaking for our team and we want to ensure it surpasses your expectations. We will release a beta as soon as possible. Thank you for your interest and patience. To be the first to hear about Skala, follow Bjango on Twitter.